A 60 second lecture by Emily Steiner and Aylin Malcolm, which actually has 11 words. Created as part of the 60-Second Lecture series at the University of Pennsylvania. 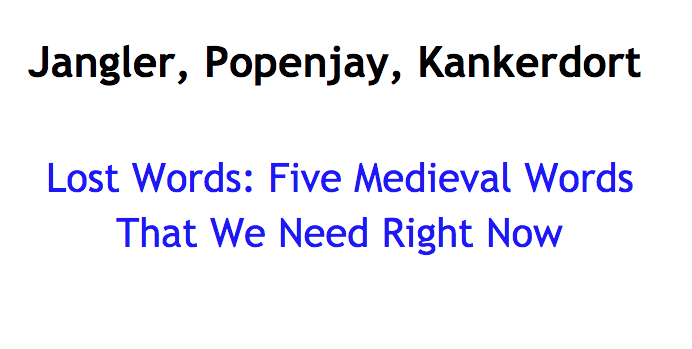 60-Second Lecture: "Lost Words: 5 Medieval Words That We Need Right Now" from Penn Arts & Sciences on Vimeo. To learn more, please check out Louisa Shepard’s article A Minute Medieval (Video) at Omnia: All Things Penn Arts and Sciences.